Hello Guys, We sharing some beautiful dialogues of Dangal movie. This is a biographical upcoming movie of Aamir Khan. The movie based on the wrestling. Dangal is directed by Nitesh Tiwari and Produced by Aamir Khan. The movie story is based on Famous Indian wrestler and Olympics coach Mahavir Singh Phogat who taught wrestling to his two daughters Babita Kumari and Geeta Phogat. This movie is going to release on date 23 December 2016. 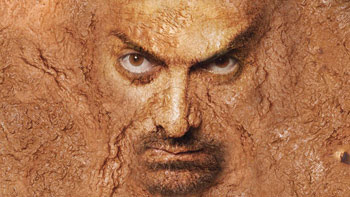 Aamir Khan is portraying Mahavir Singh. This is the biggest movie fans are eagerly waiting this movie. After long time Aamir Khan is coming again. The movie has some famous dialogues. So Here I have collected some best dialogues punches lines of Aamir Khan from this movie Dangal. "Bahut ho gayi pehalwani ... ab dangal hoga"
"Taqat toh genda bhi lagata hai ... lekin sher lagata hai taqat aur technique, dono ... sher ban'na hai, genda nahi"
Dangal is Awesome Movie. This is inspiring movie.